Worried about a tree on your property, and don’t know who to call? Talk to the experts at Bradsworth Tree Services & Contracting for a free assessment of any trees on your property that are of concern. When we think of summer time we think beautiful hot sunny days, ice creams, swimming, BBQ’s, cricket and much more… right? But what we often forget about is that summer time is also fire & storm season, which if we have trees surrounding our property that are not regularly assessed and maintained, can cause major problems and property damage which can be costly and in some cases cause serious injury or worse. If you are in a high bushfire risk area, you can contact your local council or CFA/RFS for more information on do’s and dont’s when it comes to removing and pruning trees on your property. 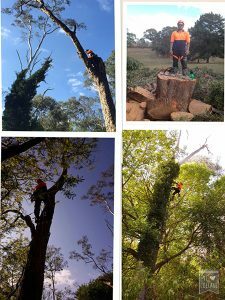 The expert Arborists at Bradsworth Tree Services & Contracting are available for free no obligation quotes and assessments of your trees to ensure you are getting the right advice to keep your property safe in the event of fire and/or storms.